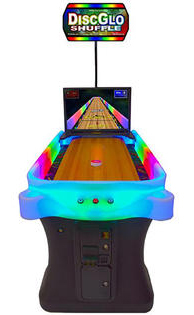 The Compact Size Shuffleboard Table with the LED Light Package! As Arachnid’s newest innovation, the Super Shuffle 2 is a compact shuffleboard table with a video monitor. 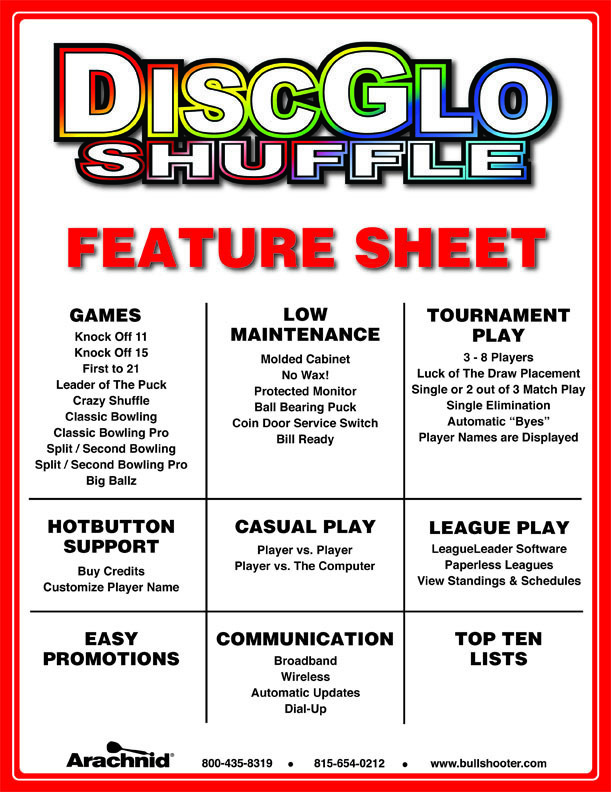 The software contains 7 games: Knock Off 11, Knock Off 15, Leader Of The Puck, First To 21, Crazy Shuffle, Classic Bowling and Split Second Bowling. Handles up to 4 players / Teams. Includes trounament chart. Variety Specialties & Amusements Inc. Variety Specialties & Amusement is one of the largest coin-operated amusement companies in Illinois with over 500 locations. We offer a full line of the latest amusement machines, games, jukeboxes, and ATMs. Copyright © 2018- Variety Specialties & Amusements Co. Inc.. All Rights Reserved.